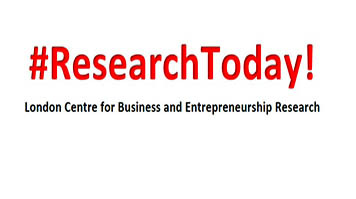 ‘ResearchToday!’ is a research seminar series that shows the width of research in the Business School, and is a forum to foster the collaboration and exchange among interested colleagues. We meet weekly during teaching term times. Mathematical control theory has applications in business, especially finance. Controllability is a measure of how much of our system we can control, but is difficult to determine. Centrilinearity is related to controllability of linear systems, and is easier to determine. In this talk, I intend to define centrilinearity and discuss its links with business. It will not be overly mathematical, but will be conducted in the Maths Study Group tradition. This sees the talk as a learning opportunity for the speaker, and follows a workshop rather than a seminar format.